For as long as I can remember, my mom has made carrot cake almost every Christmas. This version is slightly adapted from her original recipe, which she found in a magazine in the early 90s. I’d love to provide you with a link to the original, but neither of us could remember where she got it from. She’d always make a single carrot cake in a pan shaped like a Christmas tree, and I have very fond memories of decorating the cake with green icing, red sprinkles, and edible silver pearls. 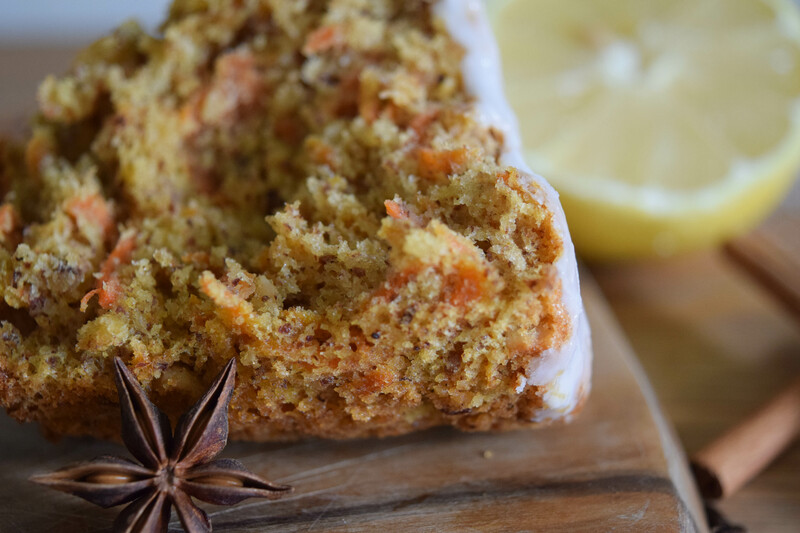 Why is a carrot cake such an amazing fit for the holidays? Well, carrots go great with nuts and all of those lovely seasonal spices; cinnamon, nutmeg, cloves, star anise, ginger, you name it. And this particular recipe is especially wonderful, because it is much lighter than most classic carrot cakes. Instead of heavy cream cheese frosting, it uses a very light, simple lemon icing, and the whipped egg whites make the cake feel very airy and light. You will also notice that the recipe does not require any additional fat, except for the egg yolks and the nuts. For slight variations, you can add a little bit of lemon or orange zest, or 1/4 teaspoon of ginger for a tiny bit of heat and even brighter flavors. 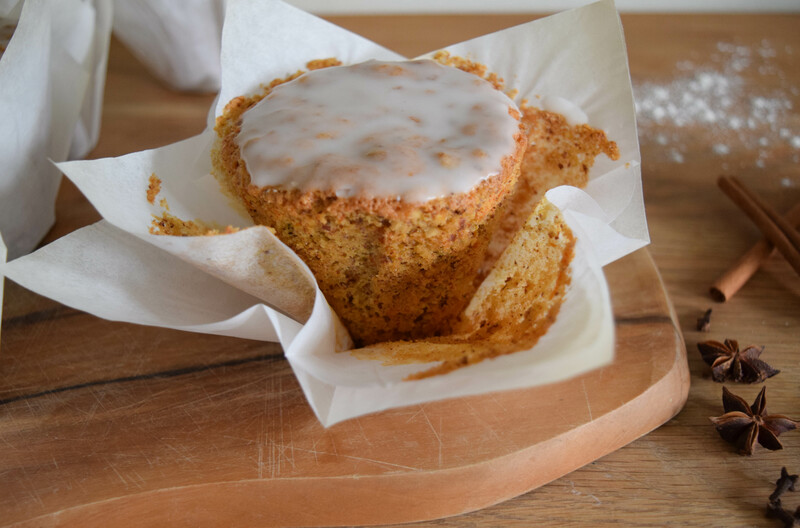 So if you are worried about all those rich, heavy holiday menus, these mini carrot cakes are a great, slightly healthier option for dessert or an afternoon snack. If you want to give them as a gift, simply bake them in tiny loaf pans and wrap them in parchment paper. I guarantee that your friends and family are going to love them. Separate the yolks from the egg whites. Beat the egg whites until stiff peaks form. Set aside. Combine yolks with the sugar and beat until the mixture is slightly thickened and pale yellow. Add the carrots, nuts, flour, baking powder, and spices. Mix with a wooden spoon until everything is incorporated. Using a whisk, carefully fold in the stiff egg whites. For best results, add the egg whites on top of the batter and drag the whisk through the batter along the bottom of the bowl in one long scooping motion. Then gently tap the whisk on the side of the bowl several times until all the batter has fallen off the whisk. This will loosen up the stiff batter so it can mix with the egg whites without deflating them. Repeat the scooping and tapping until the whites have been incorporated. Fill baking cups (or a greased and floured cake or muffin pan). The batter will rise a little bit in the oven, so be sure to leave some extra space. Bake at 350°F for 20-30 minutes (depending on the size of the individual cakes), until a cake tester or tooth pick comes out clean. Combine powdered sugar and lemon juice and stir until a slightly thick, smooth icing forms. Using a pastry brush, top each mini cake with a thin layer of icing. Separate yolks from egg whites. Beat whites until stiff peaks form. Set aside. Combine yolks with sugar and beat until slightly thickened and pale yellow. 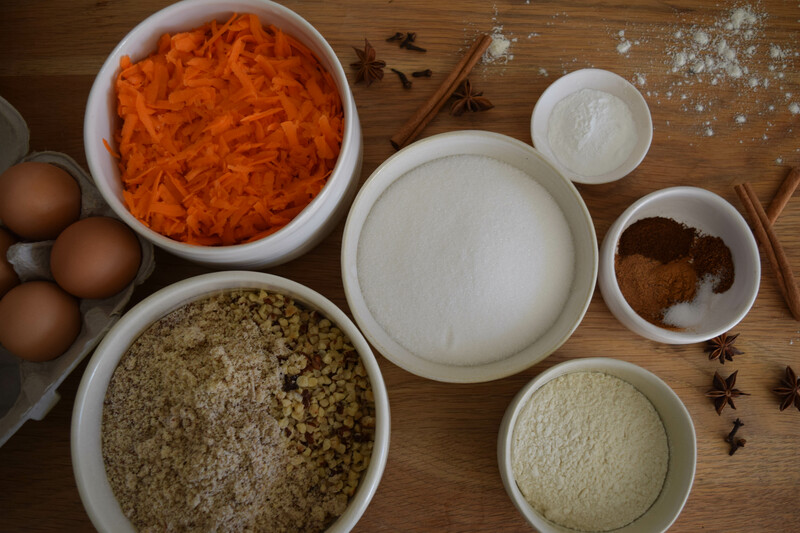 Add carrots, nuts, flour, baking powder, and spices. Fill baking cups (or a greased and floured cake or muffin pan). Bake at 350°F for 20-30 minutes, until a cake tester or tooth pick comes out clean. Combine powdered sugar and lemon juice and stir until smooth. Top each mini cake with a thin layer of icing. 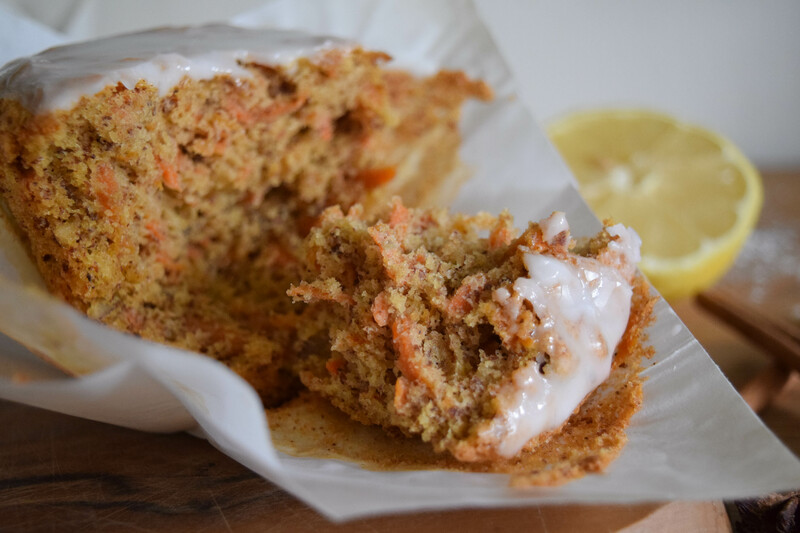 I absolutely love carrot cakes! Must be because of the seasonal flavors! I’ve even incorporated these flavors into bread! 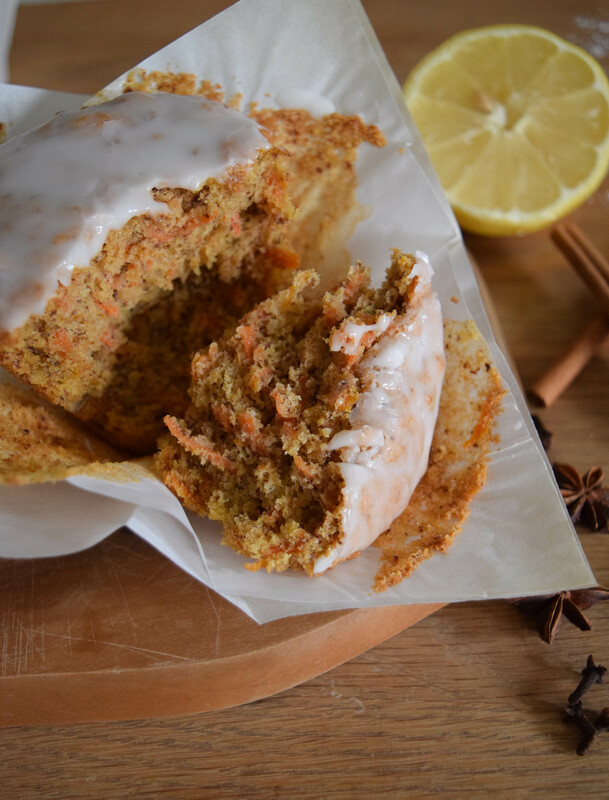 A great treat 🙂 can’t wait to try making my own carrot cake, yours look stunning and lemon icing sounds like a good change! Thanks, Cher. I agree, carrot cakes just seem to taste best around the holidays and all the carrots and nuts definitely make them a slightly healthier dessert choice. Haha although I believe that the traditional version still contains a lot of butter/oil, so homemade is the sure way to go! Mmmm they look so delicious. Love the lemon icing! Thanks, Beth. The lemon icing is definitely key in this recipe.